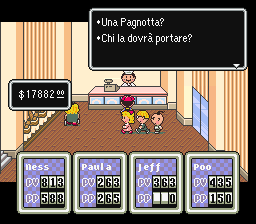 Another Italian EarthBound Fan Translation Released! 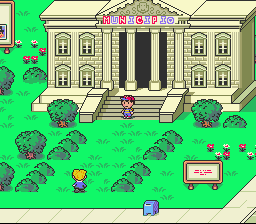 CRefice and his team have made a very impressive translation of EarthBound. CRefice has accomplished quite a bit of really cool stuff with this translation patch. He was the first to start using EB++ to facilitate a translation effort, he worked very closely with PKHack allstars like The_Kirby, MrTenda, H.S, and ShadowOne333 to make sure he had the latest and greatest fixes in his translation! So if you want an example of a very technically impressive translation that overcomes a lot of the problems we’ve had with translations in the past, this is the one. The system behind printing articles, in particular, is very cool. You can get the latest patch here. For clarification, a separate translation was released last year, but I’m not sure how the two projects differ. In any case, congratulations to everyone involved for pulling off a long, labor-intensive feat! 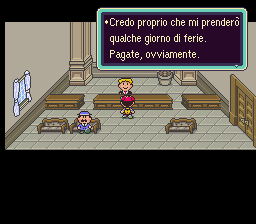 10 Comments to Another Italian EarthBound Fan Translation Released! Thanks for featuring my traslation on EBCentral! 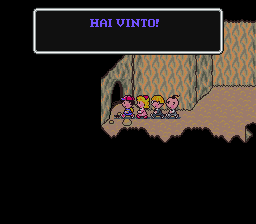 I also wanted to clarify how my traslation differs from Vecna’s one: basically, aside from the hacks, mine is more based on Mother 2 than EarthBound, and for that, I have to thank, once again, Tomato for his Legends of Localization site! – I think I will take a few days off. Paid, of course. – A Loaf of Bread? Who will carry? – The Sheepbot undergoes 227 HP of damage! Pretty good! Except Municipio means Town Hall. So 5/6, not bad! Mato-san, is the system behind printing articles different/cooler in this Italian version compared to your English version? 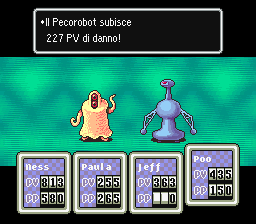 I’m not sure, I wasn’t responsible for the articles system in English EarthBound, and I’m not really knowledgeable about the Italian translation’s implementation. 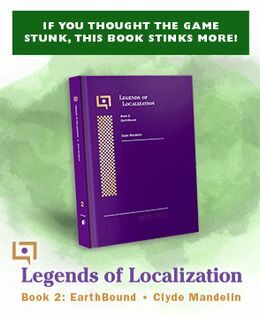 I played the Translation by Vecna the last year and now I want to try out this version too…but there is a problem. CRefice! I’m not an user on the starmen forum…How I can report to you bugs/mistranslations?